First holy communion, confirmation and the sacrament of Baptism, are catholic church ceremonies to celebrate. 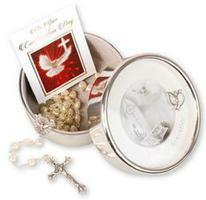 We have first holy communion gifts, confirmation and baptism gifts, designed to depict the apparitions at Lourdes. 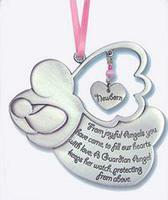 We specialize in quality gifts, and aim to provide you with a selection of Lourdes keepsake gifts. We have a nice selection of bracelets and rosary beads, that all come complete with rosary keepsake boxes, some of which are designed for girls and boys. Our statues can also make a wonderful gift for that special occasion, including musical statues and Lourdes statues. These events are some of the most important days in our life and our selection of gifts will ensure that they remember their special day forever.